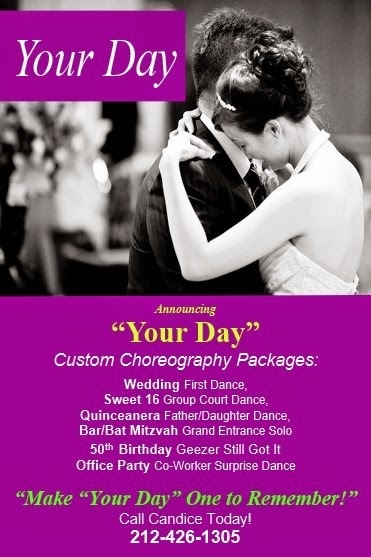 Candice Michelle Franklin: Virtual C.V.
Director/Owner of Pro DANZ® Group, Inc. 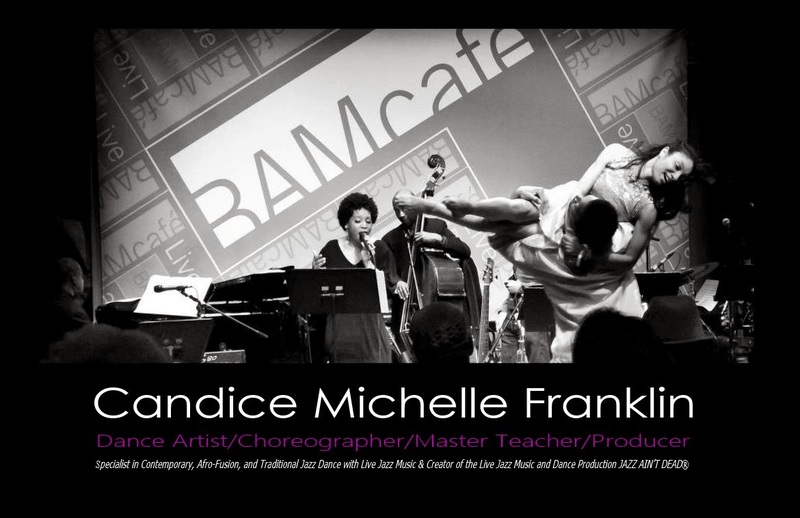 Originally from St. Louis, MO, born and bred into Jazz dance and influenced greatly by the Jazz music scene, Candice Michelle Franklin is a New York based professional dancer, choreographer, and producer who has been seen in numerous film, TV shows, music videos, industrials, and, of course, on the live stage performing in plays and dance companies. She has a B.A. in Fine Arts majoring in Dance on four-year scholarship, studied on scholarship at Steps on Broadway, trained in St. Louis at Missouri Concert Ballet, and, upon invitation to New York, received her conservatory training at the Alvin Ailey American Dance Center. She owns Dance Industrial Professionals, Inc./The Pro DANZ Group in which she oversees the dance and creative direction of several performance groups, recording artists, industrials, and stage shows. Her choreography has been performed in a host of New York venues including Jacob Javitz Convention Center, The Syracuse OnCenter, Capitale, Odeum Expo Center, Highline Ballroom, Broad Street Ballroom, The Kumble Theater, Symphony Space, Brooklyn Academy of Music's BAM Cafe, Webster Hall, The SPACE at Westbury/Westbury Theater, Stage 48, the Oheka Castle, The Theater of Riverside Church, Marcus Garvey Park Amphitheater, The Sage Theater, American Theater of Actors, Tribeca Performing Arts Center, and Joyce SoHo, as well as numerous casinos on the east coast such as Turning Stone, the Foxwoods, Mohegan Sun, Trump Plaza Hotel and Casino, Trump Taj Mahal, Tropicana, Borgata, and Caesar’s. In addition, she serves as choreographer for a number of recording artists including internationally celebrated Bollywood Hip hop artist, SHAKTI, and Grammy award winning recording artist, Macy Gray. Most recently, her choreography work has been commissioned by Pro Arte Dance for continued performances at the Kay Meek Center in Vancouver, Canada, and Tiny Starr Productions at the National Black Theater and Symphony Space. Currently, she is Head Choreographer for CEG Productions LLC, she performs with the legendary master jazz pianist Onaje Allan Gumbs II's New Vintage, and works as the producer and choreographer for Jazz Ain’t Dead®, a live band and dance production group. Miss Franklin is a proud member of SAG-AFTRA. Hovi Strauss – Dance Etc. !